Sri Lanka and the World Bank yesterday signed two agreements worth 150 MN USD to improve climate resilience and agriculture productivity for small farmers and support priority infrastructure through public-private partnerships, a press-release issued by the World Bank said. The agreements include 125 MN USD for the Climate Smart Irrigated Agriculture Project, which targets to improve the resilience and productivity of agriculture for more than 470,000 small farmers in 6 provinces in the dry zone of the country. It also includes another loan of 25 MN USD for the Framework Development and Infrastructure Financing to Support Public-Private Partnerships Project, which will help the Government of Sri Lanka develop a platform to attract and sustain investments required to fulfill its future development priorities. 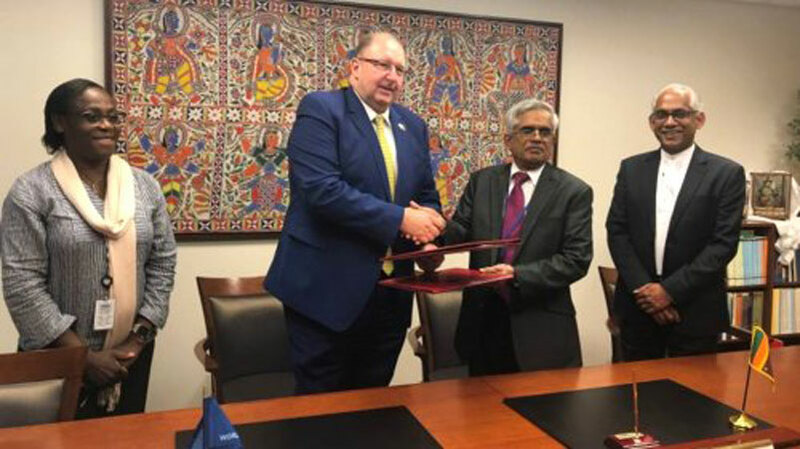 Dr. R.H.S.Samaratunga, Finance Ministry Secretary and Hartwig Schafer, World Bank Vice President for the South Asia Region signed the agreements on behalf of the World Bank and the Government of Sri Lanka respectively. The signing took place during the World Bank Group and IMF Spring Meetings 2019 in Washington, D.C., in the presence of Hon. 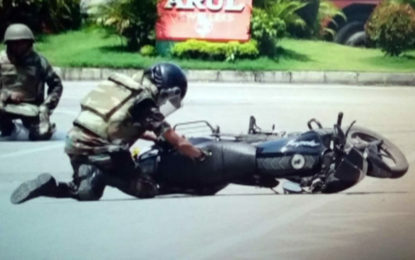 State Minister of Finance, Eran Wickremaratne. The Climate Smart Irrigated Agriculture Project will be implemented by the Ministry of Agriculture, Rural Economic Affairs, Livestock Development, Irrigation and Fisheries & Aquatic Resources along with the six Provincial Councils participating in the project. The total project costs 140 MN USD, including a 125 MN USD credit from the International Development Association, with 10 MN USD contribution from the Government of Sri Lanka and a 5 MN USD contribution from the project beneficiaries. Idah Pswarayi-Riddihough, World Bank Country Director for Maldives, Nepal and Sri Lanka observed that this project will be supportive of farmers’ access to training and research. “Currently, only 10 percent of women benefit, and this project will help bridge this gap and improve productivity of both men and women working in agriculture. Innovation, including the introduction of improved crop varieties, cropping patterns, water resources management, amongst others, can help farmers adapt to changing climate and improve their incomes and livelihoods.” she furthered.